contribution to positive ageing, winning a national media award. The award was announced at the 25th Older People Speak Out (OPSO) Media Awards in Brisbane on Monday 26 November. The awards received 1500 entries across seven categories and a people’s choice award. The Good Life was named the most effective newsletter or communication vehicle for older Australians. their interests, needs and challenges. The Good Life magazine showcases the achievements and life stories of IRT residents and customers, as well as tackling issues such as social isolation, age discrimination and active ageing. 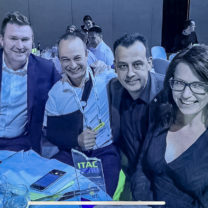 Deborah De Santis, IRT’s Executive General Manager – Customer and Marketing, said she was thrilled with the award because it highlights IRT’s commitment to promoting older Australians as dynamic, influential and valuable members of society. “Our residents and customers have made – and continue to make – really significant contributions to their communities and society more broadly,” she said. 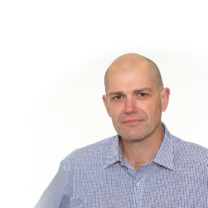 Other winners on the night included The Courier Mail, the ABC’s Australian Story, The Weekend Australian Magazine and Network Ten’s The Project. About OPSO: OPSO is a volunteer group of retired and semi-retired professionals who advocate on behalf of seniors. 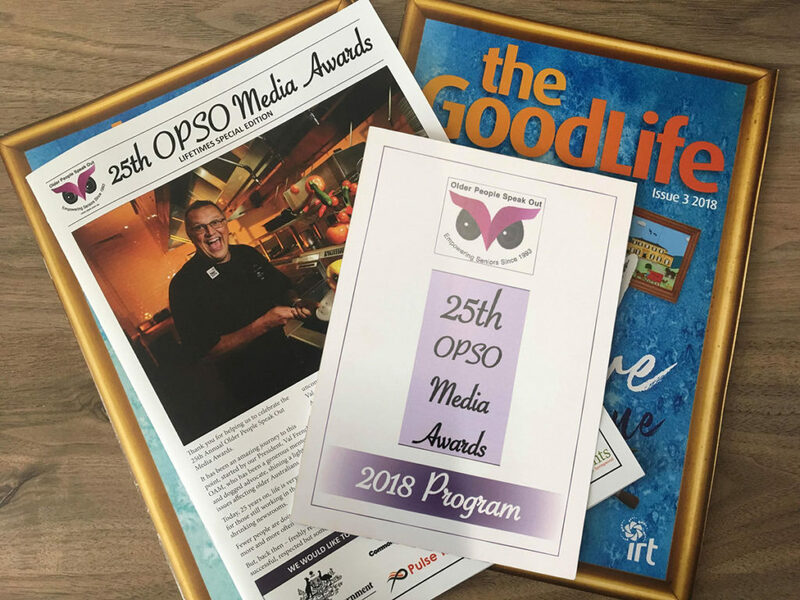 The organisation works with the media to promote positive ageing and through the annual Media Awards recognises members of the media who publish positive content about seniors and the issues they face.